More is always better, right? It would only make sense. More space permits you to share more information. More time permits you to write better. And more options permit you to share your message with greater impact. Unfortunately, it doesn’t always work out that way, especially in today’s fast-moving content marketing world. Effective content marketing requires getting your message out in a timely and consistent manner. Success requires ongoing productivity — not just isolated moments of brilliance. The key to boosting your content marketing productivity involves leveraging the Paradox of Limits. Although “more” is usually viewed as an advantage, there are times when “less” is better, achieved by reframing or rescheduling a project or reducing your options. Just like the supermarket shoppers who, when faced with too many choices end up not buying anything, giving your content marketing team too much freedom can torpedo even the best content marketing ideas and intentions. This is why it’s essential to set limitations on your conte­­nt creation, to keep you focused on your top priorities — and keep you from getting burned out. Here, are seven ways to strategically place limitations that can boost your content creation efforts and overall content marketing productivity. Avoid trying to cover too many ideas or providing too much information about each idea: Trying to write when you haven’t identified the proper balance between the ideas you plan to share and the amount of detail you aim to provide will almost certainly result in indecision and procrastination — if not outright frustration — on the part of a content creator. Once you identify the right number of ideas and amount of detail you need to get your points across, content creation will appear more manageable and easier to start. Offer readers an overview: Instead of covering a lot of points in great detail, view your project as an introduction, or overview. The more ideas you include, the less your readers will expect you to write about each one. For example, a post like 10-Question Content Curation Scorecard Every Content Curator Needs to Measure Success is easy to start because it focuses on one component of curation: measuring its success. Once you identify the topics your questions should focus on, it becomes relatively easy to write a brief description explaining each one. A topic like How to Get Started in Content Marketing, however, presents more of a challenge because there’s less of a structure — virtually anything having to do with content marketing would be fair game in a post like this. Write from a selective point of view: Another approach for reducing the scope of your content creation project is to focus on only a few carefully-selected points and describe them in greater detail — a technique used in the post, 3 Tips for Enhancing Your Content Productivity. Your criteria for selecting the topics could be best, cheapest, closest, easiest, or most important, etc. Target a narrow niche: Another way to select a perspective is to target your project to different experience levels or focus on a specific goal or task. Take the post, 11 Ways to Use SlideShare for Content Marketing Success. By narrowing the focus to considerations that directly pertain to content marketers (vs. all marketers), it’s easier to identify what information needs to be included, and what can be left out. View each content creation project as a balancing act, where you let your marketing goals determine how you will ultimately choose between content that briefly discusses a lot of important points, or content that homes in on a few key points but addresses them in greater detail. The bigger the project, the easier it is to put off starting it: This usually results in the exquisite stress of procrastination, which gets worse and worse as deadlines approach. Using less space (i.e., reducing the word count or the length of an audio or video) reduces the intimidation factor caused by worrying about the number of words you have to write to meet expectations. 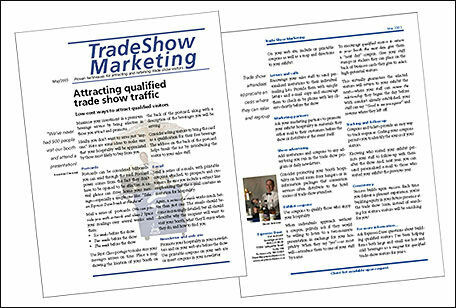 For example, about 10 years ago, I frequently created one-page print newsletters for ­­my clients, limiting each month’s newsletter to the front and back of a single sheet of paper, (approximately 650 formatted words). Limiting the word counts in this manner can also pay another important dividend: It helps content creators improve their writing because limited space encourages you to be as concise in communicating ideas as possible. One of the reasons that blogging a book works so well is that instead of thinking of your project as a 25,000-word document, you view it as a year’s worth of 500-word blog posts or podcasts. Create an editorial calendar and stick to it: This involves making decisions in advance, so you don’t need to remake them each and every time you create content. 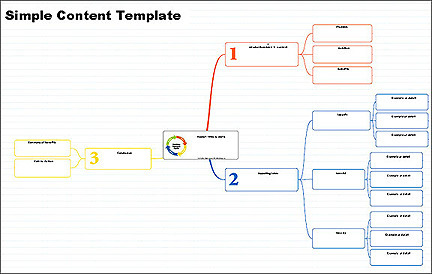 Use a content template as a writing guide: This helps you maintain a single standard of quality and gives your content a reliable format — and no one has to “reinvent the wheel” each time you need to create new content. A lot has been written about monthly and weekly editorial calendars, but I only recently discovered the importance of sticking to previously-created calendars. For example, I write a short (250- to 300-word) weekly content marketing article for a client’s newsletter. Because it’s a short project, I enjoy the challenge, and often use it as a “warm-up” writing exercise. About 6 months ago, however, I made a simple change that resulted in a huge productivity improvement: Previously, I would select the topic for each week’s article by choosing from a short list of randomly assembled topic ideas for the coming month. Choosing the best of the three or four titles would typically spark an inner debate on which topic would be easiest to complete. Now, I just immediately start writing about the topic at the top of the list. Eliminating the need to make a new decision and avoiding the temptation to second-guess myself removed a time-wasting obstacle and made it easier to start writing. A content template can boost your productivity by guiding you through the writing process. It doesn’t have to be complex — and it doesn’t even have to be digital: In fact, I’ve created a simple three-step content template that can be filled in by hand. You can download it here and print it if you want to give it a try. Set the stage by describing the problem you’re addressing, the solution you’re recommending, and how readers will benefit. Support your recommendation by identifying three main ideas, examples, or steps, as well as a few pertinent details for each idea. Conclude by re-emphasizing the benefits of your approach and including a call to action where readers can learn more. Like me, you may find that occasionally writing ideas out by hand offers a refreshing change of pace that makes it easy to generate new ideas and make new connections. It’s inevitable that the more time you have available to do something, the more likely you’ll put it off until the last minute. Limiting the amount of time you have available, however, encourages you to make the most of your time. You can rethink your approach to content creation by looking for ways to break projects down into small tasks you can complete in short writing sessions, and by trying to get as much done during each session. Day 1: When the time comes, start writing as soon as possible and write as quickly as you can. See how much you can write in 30 minutes. Aim to get the bulk of your idea written by the end of the first session. Day 2: Review your draft, filling in any holes and checking the sequence of your ideas to make sure they have a logical flow. Look for ideas and words you can delete, or long words you can replace with short words. Then, review the title and look for ways you can better target your intended reader and concisely communicate the value of what you’ve written. Day 3: Review the text and title one more time, focusing on clarity, conciseness, and SEO relevance. Each time you return to your project from a fresh perspective, you’ll likely notice new and easily implemented edits. What you’ve done is replace a big task with three simpler and less-demanding tasks, each with its own action-stimulating “mini-deadline.” More important, at the end of each session, you’ll enjoy a sense of accomplishment that encourages you to continue creating content. Your times may vary but, over time, the benefits of short deadlines, writing to “beat the clock,” and feelings of accomplishment, will soon add up. Limited options and resources can be a powerful productivity builder. It encourages you to start working with what you have available, rather than wasting time trying to figure out which tool or option makes the best sense. I used to bask in the notion that all my obstacles to creative efficiency would vanish if I only had exactly the right resources: my own studio, my own dancers, my own theater; and enough money to pay the dancers all year long and to hire the best collaborators. But I’ve learned that the opposite is true: Limits are a secret blessing, and bounty can be a curse. Her quote resonated with me because I never could understand why the majority of my best photographs were taken with my camera’s normal (i.e., 50mm) lens even though I was carrying a bagful of wide-angle and telephoto lenses. I realized that limiting my choice of lens immediately engaged me with the scene, encouraging me to make the most of what I had available, rather than interrupting my concentration and switching lenses. Like Twyla Tharp, I got more done, with less stress, by focusing on what I could do, rather than getting distracted by stressful “what if” decisions. So, look for other ways to limit your options. Focus on what you can do right now — maximizing the effectiveness of every idea and every word — rather than wishing you had Malcolm Gladwell’s team of researchers or an unlimited web design and programming budget. More important, save something for later! Resist the urge to add unnecessary complexity, which delays the appearance of your project. On-time delivery of your message may require less research, fewer examples, fewer graphics, and fewer quotations. Focusing on what you do have available can pave the way for spending more time developing your ideas and making the most out of every word. Establish boundaries: This involves informing your co-workers (or even your family, if you work at home) that you will be unavailable during certain periods of time (except for emergencies, of course). Enlist support by sharing the importance of your project to all involved, and — perhaps — promise to put work aside when they need your full attention. Find a time and a place to write: Identify the times when you’re least likely to be interrupted. If necessary, step into a conference room or break away to a coffee shop for an interruption-free writing session. Clear your desk and working area: You will concentrate better in the absence of competing stimuli. In addition, straightening up your working area can become a habit, or ritual, that helps you prepare for fully engaging with your project. These days, no one has enough time. However, with a little effort, you should be able to carve out the distraction-free time necessary to boost your content marketing productivity. The more you inflate the importance of a single article, blog post, or white paper, the harder it often becomes to start and complete the content creation process. Performance anxiety based on unreasonably high expectations can torpedo productivity before a project even starts. The cure for unreasonably high expectations is to view each content marketing project as a step in the right direction, rather than a “silver bullet” to annihilate the competition and lead to a brighter future. You don’t have to be perfect the first time — there will always be opportunities to expand on your first development of an idea, to readdress and restate your ideas, and to repurpose or reformat them for different audiences and types of learners. For example, Al Ries and Jack Trout didn’t start by writing The Positioning Era. They started with an article, adapted it into a speech, and built their business from there. 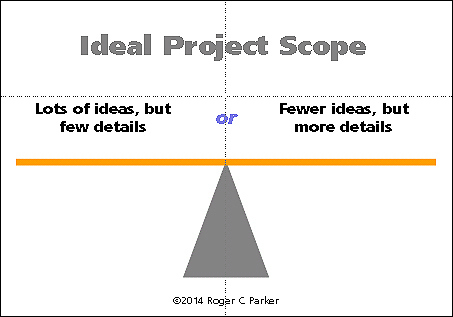 View every project as part of a process, rather than an all-or-nothing event. This eliminates the potential to become paralyzed in pursuit of perfection, freeing you to move forward and explore the possibilities. How do you leverage the power of limits? Do any of these ideas sound familiar, or resonate with you? 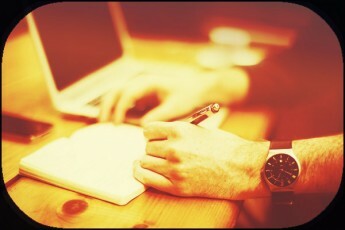 How could you use these ideas to enhance your content marketing productivity? Share your experiences, questions, and suggestions below, as comments! Our agenda for Content Marketing World 2014 is bursting at the seams with great insights and processes that will help you create content more successfully and productively. Register today!